You know the guys who sit down at a casino table with dozens of black chips? 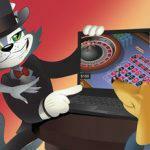 Ever wonder what they know that most online casino players don’t? It’s simple, really. No, they’re not necessarily high rollers. They didn’t necessarily sit down with $50,000. Sure, a few of them are high rollers. But most are like the rest of us. Only they know which games to play. 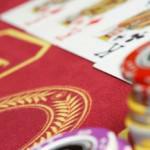 Casinos, including online casinos, have an advantage on every single game and every single bet placed. That’s why winning big at a casino has a lot to do with luck. But it also involves skill. And you don’t need to be an expert to win. 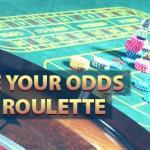 You just need to know which casino games have the best odds. And thankfully, we already know. Today, we’re sharing these secrets with you. Read on for more. This game looks confusing, and if you’re a new casino bettor you’ll probably want to stay away. But we recommend giving it a try. Whether you’re a seasoned online craps player or a brand new player, try betting the pass line. When you do, you’re wagering that the shooter will hit a hit a 7 or 11 and not a 2, 3, or 12. If none of those numbers hit, the number becomes the point for the game and your bet stays on the table. At that point, you’re betting that the point will be rolled before a 7. The house edge? Just 1.41%. That’s tiny. 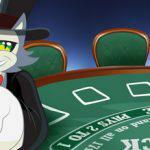 Did you know you can find a house of edge of just 0.28% playing online blackjack. It’s true, though it requires a bit of searching. You’ll need to find a casino where the dealer stands on Soft 17 (they usually hit), and one that offers the late surrender option. While many casinos don’t offer these bettor-friendly options, blackjack still offers amazing odds at many online casinos. Want an almost-50% chance of winning every single bet? Then you need to play roulette. And you need to stick with evenly split bets. We’re talking about 1-18, 19-36, black/red, and evens/odds. Because the bet is evenly split down the middle, with 18 winning numbers possible in every bet, your chances of winning are huge. So what makes it almost 50/50 and not exactly 50/50? Well, the single zero and the double zero tip the scale in the house’s direction. So the true odds against winning are just 1.111:1. And that’s in American Roulette. Switch to European Roulette and your odds get better thanks to just one single zero on the wheel. 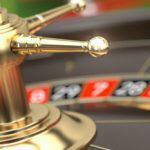 Have you made big money playing casino games with the best odds? Drop us a line and let us know. 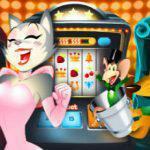 We’d love to hear about your big win, and we’re sure our online casino game community would love to know about it too.